A classic St. Patrick's Day special! A classic St. Patrick's Day special! I add the salt because the low sodium brisket is so substantially lower in sodium than the full brisket, that a 1/2 tsp of salt adds the flavor with substantially less sodium. 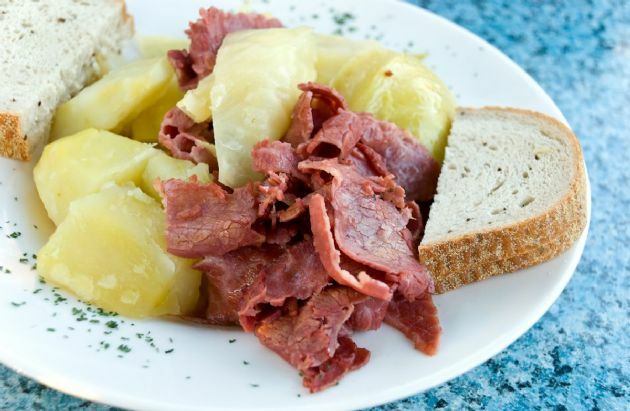 Put all ingredients except corned beef in a crock pot. Place corned beef on top of other ingredients. Turn crock pot on low and let cook for 6 - 8 hours.